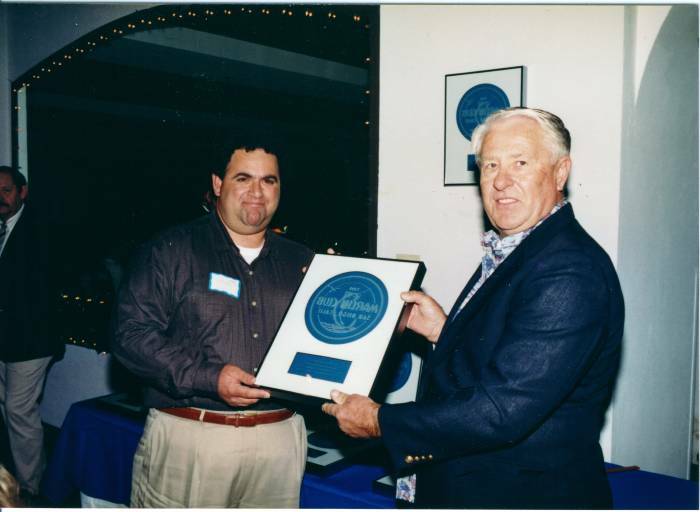 Here is Bob with his bluefin tuna that won big fish honors in the Make A Wish Tuna Challenge. We would like to provide some information about Bob Vanian who is the person behind the 976-Bite Fish Report service. This information is provided to help you make a wise choice in selecting a fish report service to provide you with information to help in planning your fishing trips. Bob prepares reports with the information he would want to have as both and angler and a skipper before heading out on a fishing trip. He prepares reports that are of such a high level that they are used by many professional Captains. Bob’s reports provide specific, detailed and accurate information about where the fish have been biting and about what to look for to locate fish once you are out on the fishing grounds. The reports contain latitude and longitude coordinates and other specific references such as depth and location relative to landmarks to get you to the areas where the fish have been biting. The reports contain sea surface temperature and water color information and are filled with specific information about the pattern of the bite. Also included are specific tips on productive baits and lures and successful techniques being used to catch fish once they are located. What follows is bit of background about Bob Vanian who is the person who prepares and writes the reports. Bob does his own work and does not delegate work to outside writers. He puts his reputation on the line with every report he writes and we feel you should know about the expertise of the person who is gathering the information and writing the reports. 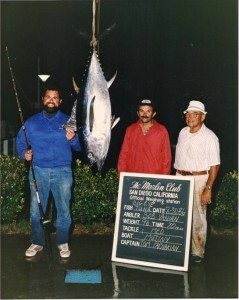 A memorable fish was Bob’s 96 pound bigeye tuna on 30 pound test line. Also pictured are Bob’s lifelong friends Tom Parnakian (center) and John Parnakian (far right). Bob has been fishing the Southern California and Baja coast for over 50 years and also has extensive experience fishing Central and Northern California waters for salmon off Santa Barbara, Avila Beach, Morro Bay, Monterey and Moss Landing. He grew up in a recreational sportfishing family with his grandfather and father owning private boats that were based in Newport Beach and would fish out of San Diego during the summer months. They put a fishing rod in Bob’s hands at a young age and he has spent his entire life fishing Southern California waters. 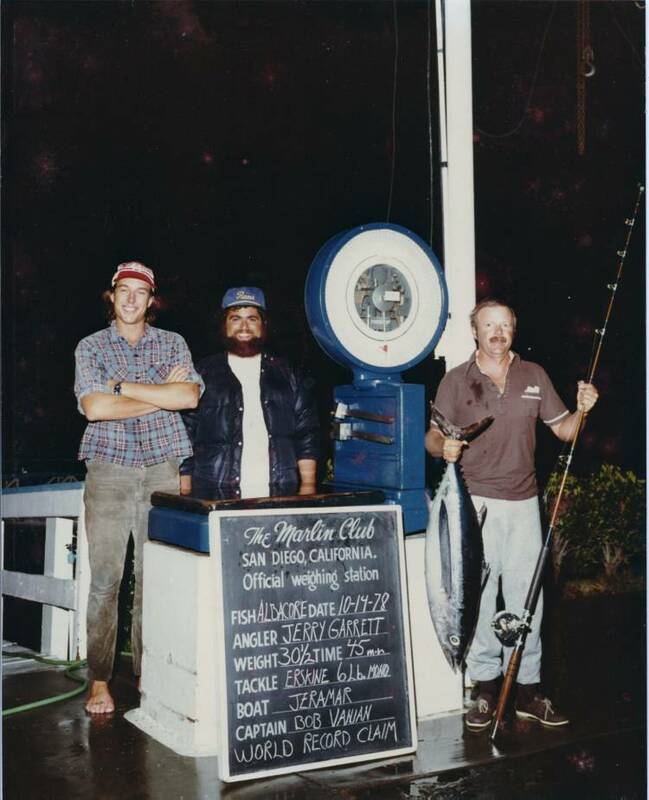 Bob took to the ocean and became obsessed with fishing and that passion has lasted and grown as the years have gone by. By age 15 Bob was the primary operator of the family’s 40 foot Chris Craft called “Mutiny” and by age 16 he was taking out family, friends and church groups on overnight albacore trips. Through the years, Bob has spent much of his life out on the water fishing up and down the Southern California coast and throughout Mexico on his family’s boats, his friend’s boats and his own skiffs. In most any fishing situation one might encounter, there is a very good chance that Bob has the first hand experience necessary to provide valuable insight and information. Bob Vanian receiving The Marlin Club’s Ultralight Tackle Recognition Award from Don Blackman. In addition to what he has learned on his own and from the guidance of his grandfather and father, Bob spent many summers fishing aboard the private boat Jeramar with renown Southern California angling brothers Marv Garrett and Jerry Garrett. Both are award winning anglers and Tuna Club Members and Jerry holds the IGFA world record for swordfish caught on 80 pound test with an 813 pound swordfish. Bob also received a lot of help with his fishing from legendary yacht Captain, the late great Gene Grimes and in more recent years, Bob has spent countless hours on the water fishing with legendary tournament winning private boater Captain Bob Woodard who owns and operates the private boat Christina Lynn. The bottom line is that Bob has learned about Southern California sportfishing from the very best and you can tap into that knowledge via the fish reports on 976bite.com. Bob Vanian and John Everett with Jerry Garrett for Jerry’s World Record Claim 30.5 pound albacore on 6 pound test. 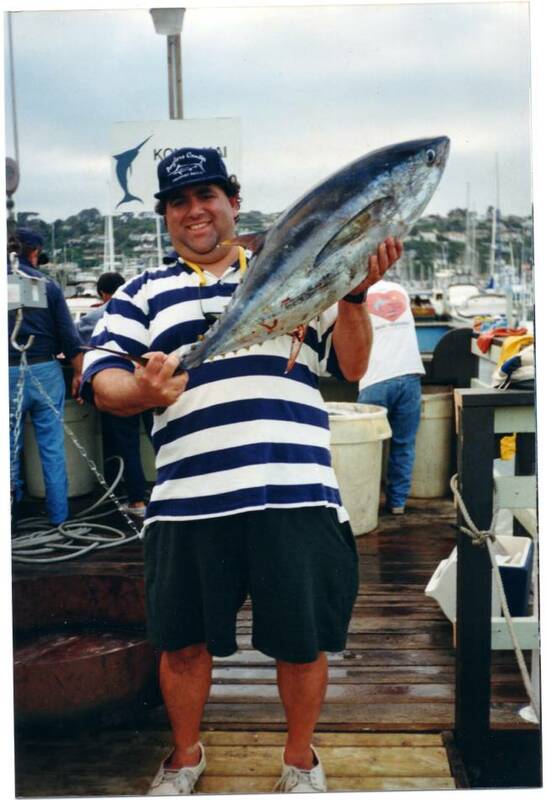 After spending 12 years practicing law in San Diego, Bob decided to take his life in a different direction and the eventual result was the creation of 976-Bite Fish Reports during the spring of 1993. 976-Bite started as a recorded telephone fish report service during the pre-home computer era and has since evolved into a web site based service. For those that prefer it, Bob will still provide telephone reports via his personal reports service where he talks with you directly at (619) 226-8218. Bob puts everything he has into obtaining information and preparing the 976bite.com fish reports each day. Over the years he has developed a network of information sources that come from top sportboat Captains, top private boaters and top 6-Pack Captains. Bob is a perfectionist in his work and even though he is not providing legal advice, he puts the same level of intensity into gathering fishing information and preparing his written fish reports as he did when he was practicing law and writing documents to be presented to a court of law. 2017 marks the 24th anniversary of 976-Bite Fish Reports and Bob is very grateful for the long time support and says “thank you” to all the loyal subscribers who have made it possible. You deserve the very best fish reports out there and 976bite.com is the place to get them.